AXIS is an entirely new (and better) way to follow and manage your rail project opportunities. AXIS subscribers do not wait for faxed or emailed project reports filled with relevant and irrelevant projects. Our subscribers can easily search/filter our extensive rail project database any time day or night to find, to watch, to bid and to win new rail opportunities that are specifically relevant to you. In addition to the world-class AXIS rail project database, we currently offer a number of project management tools to help you be more efficient and effective. Worth noting too is that we have many more cool AXIS tools in-development. Remember, we focus on doing what we do, so you can focus on doing what you do. AXIS provides an invaluable service to railroads, rail project design firms, rail project engineers, rail project contractors and rail supply firms. Please spend a few minutes on our site to learn more about how we can best serve you. Remember, we are railroaders serving fellow railroaders, and that makes all the difference. Give me my free demo! Seeing is believing. 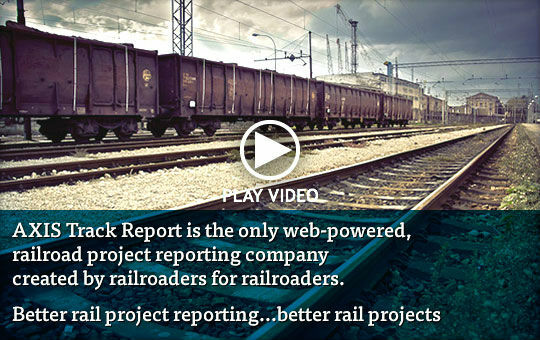 Please sign-up to test-drive our AXIS Track Report rail project database for free. No credit cards, no commitment, no bull. Want to partner with us? Contact us. 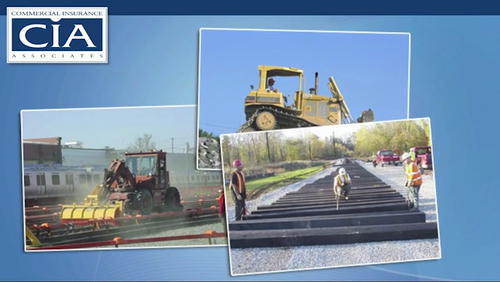 Want (free) AXIS rail project news bulletins?